Digital marketing is an interesting discipline where marketers get to wear not only the hat of a sales person but also that of a psychologist. It doesn’t mean that they become clinical psychologists who assess mental, emotional, or behavioral disorders though. What they can do is to use psychological principles to persuade customers to their desired action. While some marketer might go to school to learn these principles others might opt for using something similar to this data science bootcamp to help them learn more. How cool is that? It may take a lot of training to understand how the brain works or how to best appeal to one’s emotions, but there’s a way for marketers to know these things without taking a psychology class. 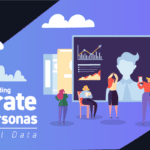 To get you started, here’s an infographic that shows how you could apply the science of human psychology in digital marketing. It was German psychologist Hedwig von Restorff who popularized the theory of the so-called isolation effect, which proposes that for an element to stand out, it has to be different and distinctive from among a group of similar items. One area where you could apply the principle of the isolation effect in digital marketing is on the landing pages of your website. You’ll want to isolate your call-to-action (CTA) button from all the other page elements, such as the headline, body text, subheads, banner, or visuals as doing so could help your website visitors focus their attention on your CTA. 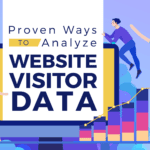 In effect, that sense of awareness could prompt them to click on your link, opening up an opportunity for you to close a sale with customers or to lead your prospects further down the lead cycle. To make your CTA more distinct, you could play around with its physical attributes. For example, if your website features a particular color dominantly, you could choose a contrasting color to make your CTA look more prominent. Ultimately, your CTA should use a good combination of font type, size, and color to clearly indicate what users have to do next. The anchoring effect is a cognitive bias that describes one’s tendency to rely mainly on the initial piece of information that the person receives. Your sales or pricing page is the perfect place where you could implement anchoring. If you’re doing a sale, the proper way to bring out the anchoring effect is to show the higher, original price of the item first before showing the actual amount that they will be paying for the item on sale. You could also leverage anchoring if you’re trying to show the different pricing plans of your products or services. Notice how businesses show the pricing options that customers could choose from – from the most expensive to the least expensive. The idea is to make suggestions that would sway your buyers to spend a specific amount that you have set for them based on the anchor you used. 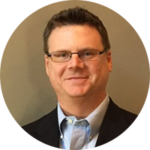 However way you use anchoring, having an anchor enables you to influence how your customers perceive the value they’re getting from your offerings. As the name implies, this psychological theory relies on the premise that something is good if there’s social acceptance. In social proof, the validation may come from a bigger crowd or community of like-minded individuals. Influencers and bloggers are a testament that social proof works in digital marketing. Because these figures have established their credibility in the online space, they’re able to shape the preference or behavior of consumers. With their thousands to millions of followers on the internet, social influencers (which may include celebrities and athletes) become effective brand ambassadors for the business organizations they support. You could also leverage social proof by featuring testimonials or product reviews on your website, blog, or social channels. When you have paying customers raving about your products or services, the word can get around quickly.This type of branding that focuses on positive customer experiences could stir more interest and boost sales for your business, too. Professional trainings or certification courses also fall under social proof. Becoming a certified digital marketer or a digital marketing agency is like adding a new feather to your cap, which affirms that your team is composed of industry experts or specialists, I’m sure every digital marketer would benefit from using the best data profiling tools to improve the validity of their social proof. In psychology, loss aversion refers to how we try to avoid losing something – whether it’s a tangible object, such as material possessions, or something intrinsic, such as the status quo. Relating the concept of loss aversion to digital marketing, you could talk about what your leads might lose by not acting on your sales offer right away. It’s a great way to elicit an urgent and emotional response among your prospects. Because people usually think limited time promotions have the best deal, they’re more likely to buy. If they buy right then and there, well and good. But some prospects are not quite ready to buy, so they might abandon their shopping cart. Following the theory of loss aversion, your email blast service partner could send out a series of alerts to inform your prospects that you’re starting to run low on inventories. A piece of content could also be another reason to make your prospects wary of loss aversion. You could talk about the benefits of signing up for your newsletter or downloading your e-book to drum up your content marketing strategies. The idea is that unless they act on your offer, they won’t have full access to your awesome content. Instant gratification describes people’s desire to fulfill their needs or get the results they want instantaneously. Whether it’s being frustrated about not having a super bod after weeks of training at the gym or feeling that you’ve failed to make an impact in your company after several months, you might start to think that you simply want to give up. In the field of marketing, digital technologies have created a generation of consumers who are constantly looking for instant gratification. They want to get things done with the click of a button or a swiping motion simply because they have seen many businesses offer that kind of convenience to their customers. They expect to immediately get what you promised after they’ve responded to your CTA. If a customer has just downloaded and installed your app, you’d do well to make that person feel how much you appreciate the fact that they’re using your app. Give them a discount coupon that they could use with their account. If you have an online retail site, make sure you’re using tools that allow customers to transact with your business in as few steps as possible. If you’re a content marketer, you could add videos or images to your blog posts to help readers consume your content fast. In social psychology, reciprocity takes place when someone who has received a favor from another person repays the giver through a good deed or a small gift. Similarly, when your prospects provide their personal data on your opt-in forms, you need to give back something that’s equally valuable for them. It could be an exclusive content that they can’t find anywhere else on the web. Eventually, being exposed to your content on a regular basis could prompt your sales leads to convert as actual customers. For some content consumers though, reciprocity should be more of “give before you take.” Thus, there are sites that offer snippets of the content before asking readers to sign a form with their contact information, giving users a chance to decide if they want to get a full copy of the text. Grounded cognition refers to the principle of allowing people to relate to a story that they read, hear, or watch by making the experience as real as possible to them. To incorporate grounded cognition in your inbound marketing campaigns, you should create content that’s useful and relevant for buyers. You must tailor your content depending on where your prospects are on their buying journey. Thus, you should have a different set of email blast campaigns for your loyal subscribers and a separate one for newly registered users so that your message will stick with your target audience. User-generated content (UGC) is also an effective strategy toward grounded cognition in marketing. UGC is the modern version of word-of-mouth referrals since you’re crowdsourcing your content from actual consumers or end-users of your product or service, which gives more impact to your campaigns. The primacy effect suggests that the first things we see are what we remember the most. If you have a series of information, you might find that you have more time to process the ones in the top hierarchy. This explains why content marketers labor over which version of a headline to use. Since digital consumers have a short attention span, your headlines should convey what the content is all about even if they don’t get to read the article from start to finish. Thus, you should know how to choose your keywords and meta descriptions to help people recall the most important information about your content, brand, product, or service. Based on the commitment and consistency theory, someone who makes a small commitment to another person is more likely to agree to a bigger commitment with the same person the next time around. In marketing, small commitment may refer to your prospects opting in to your email blast service, while bigger commitment may be your lead making that final decision to purchase from your company. The best way to increase the amount or level of commitment among your audience is to develop a relationship that blossoms over time. Instead of taking a hard sell stance, you should invest more time in providing experiences that help your prospects see what value they can get in downloading your ebook, joining your webinar, or subscribing to your blog. It’s amazing how digital marketing can be both an art and a science To generate more awareness and interest for your brand, you must be creative in the marketing strategies that you use. 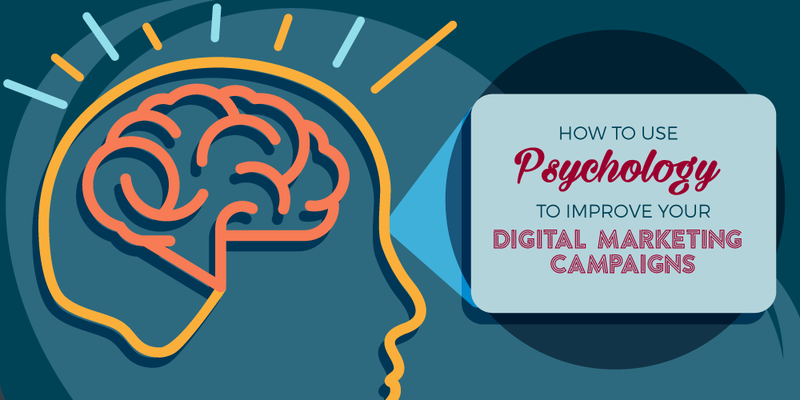 At the same time, you could apply relevant principles in psychology to enhance your campaigns and secure your position in the digital marketing space.